Banks Enclosed Marsh; agricultural land between the Ribble estuary embankment and Marsh Road. The area bounded in blue on the map shows the area covered by flood alerts and warnings for Ribble estuary tidal breach at Banks, Area A. 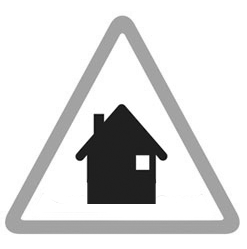 Residential properties and agricultural land in Banks between Marsh Road and Southport New Road (A565).